Last week my husband arranged a surprise for my birthday. Last month we celebrated our first anniversary. And two months ago one of my brothers-in-law asked me to suggest some ideas for Valentine’s Day to surprise his wife. Yes, I wondered if he started planning two months ago for Valentine’s – how much more special would he make his anniversary celebration!? Unlike my husband & I – we only think & plan for future events, but usually get to actually working on it just a week before the D-day! How many of us Google up for gift & celebration ideas for Valentine's, Anniversary, Birthdays, and other such significant events? So, considering how couples have to plan for special occasions, whether the husband or wife, either together or as a surprise – I thought of posting the ideas I e-mailed that brother-in-law, some collected over the time after some Google searches, some from a gift-giving ideas book I have, along with the kind of celebrations either my husband & I have arranged, or those that I’ve heard from friends, or some from family. These gift ideas and celebration ideas can be used by couples for planning Valentine’s, Anniversaries, Birthdays, or even as a special weekend hangout. In fact, some of the celebration and gift ideas below – as deemed appropriate – can also be used by friends, colleagues, parents, their children, siblings, or even as wedding/honeymoon gifts or celebrations. Write clues connected from one to another on pieces of paper & hide it at different locations, so that the person has to solve one clue to get to the next clue. You can also have small gifts at each location or a big gift at the destination when all clues are solved. You can even make it romantic by writing naughty clues. I once organized a friend’s birthday party with this treasure hunt game in our university, rhyming the clues & sticking the pieces of paper all over the university (all over, YES, trust me) for the 2 groups to go hunt. Click Here to Check Out the Treasure Hunt for my Husband's Birthday! Deck the floor with rose or other flower petals and make a path for your spouse to walk on until a certain place – may be till the bedroom at home or even from the entrance until the table at the restaurant, if you can arrange that. Not the one with water. What does your partner, family member, or friend like? Soft toys? – Gift a LOT of those. Balloons? – Fill the whole room with them. Shells? – Bring in all shapes & sizes. Flowers? – Place bouquets all over or have a flower petals shower as soon as door opens (some physics required to arrange that!). If you & your love interest haven’t gone dancing before, you can go for some ballroom dancing or may be salsa together. Or if your partner dances well but you’re born with two left feet, you can take some secret dancing lessons, then surprise him/her with some moves. Lying down on the grass, under a blanket, star-gazing at night is romantic, as is having a candlelight dinner at home or restaurant. Going on a long drive to spend the private time together or a picnic at an arboretum (botanical gardens) are simple yet special. As best friends, family members, or couple (whether married or not) – cooking or baking together, a special meal or sweet treats, could be so much fun. My hubby & I baked a cake on a Sunday together; watching him innocently measure the ingredients as per my instructions was adorable! Matter of fact, anyone would love and appreciate this gift. Lookout for spa packages, promotions, online deals, or Groupon (if applicable in your country) for spa & massage, preferably at decent places that have good reviews. Go to the highest building or tower in your city. I’ve taken my husband to Baiyoke Tower (tallest building in Bangkok), watching the sunset together from the 86th floor of the building, and seeing the city light up at night. He took me to Five-Sixty, the revolving restaurant on some 60th floor of Reunion Tower, seeing a 360 degree view of Dallas for my birthday last week. Even open restaurants or bars on topmost floors of a hotel/tower are amazing experiences. Getaway to a beach or beach resort for a 2-nights stay. Adventurous daytime beach vacation, bonfire & tent on the beach at night, or a relaxed resort vacation – however you like your celebration. Are you the kind of friends, family, or couple that loves to celebrate with outdoor activities instead of indoor parties? The kind who’d rather go kayaking, paragliding, or skydiving instead of cooking-cleaning-hosting party at home? Or pop a champagne bottle in a hot air balloon during sunrise or sunset to propose your love? Look out for deals, perhaps Groupons or call in, for these could get pricey. Book a 3-4-hour limousine ride (may be with the gas & a bottle of champagne included) and tour around the city with your visits planned. My friend fortunately found a 50% off Groupon just in time and surprised her parents-in-law with this on her mother-in-law’s birthday. Have a no-phone, no-work, private & relaxed getaway. Take a few days off and fly to one of your dream destinations, have your itinerary planned out beforehand of things to do and places to visit. Or take a week-long cruise vacation, where you hop on & off to different locations as per the itinerary. What a great way to surprise your other half on his/her birthday, or your parents on their 25th anniversary, or to a newlywed couple for their honeymoon with this kind of gift! Groupon may come to your rescue if you’re lucky, but make sure you check about the visa status & stamping from port of departure until port of arrival with the cruise helpline – a tip my friend gave me! To surprise the receiver of the gift even more – tell the person you’re going somewhere else, and then disclose by telling them later exactly where! A drawback – don’t let the woman pack beach clothes for a cold place, or your surprise will turn into a shock! A heart-shaped cushion, even the bean bag kind with soft-velvety feel, or a pillow/cushion with some message embroidered/printed on them are some usual simple gifts. Some are even available in miniature forms, the kind you hang on the mirror inside your car. My brother got me the smaller one with I Love You embroidered on it. The good ol’ teddy bear, or million other options of stuffed toys in all sizes. Either you can gift several small ones, or some huge ones. My hubby gave me a small squirrel stuffed toy. My group of friends together once gifted me a gigantic teddy bear for my birthday. Sounds humdrum? How about giving a greeting card, with lovely messages written on them, each day from a particular date till the occasion? Or probably hide them at different places & surprise your significant other each day. Phone, mp4 player, tablet, digital cameras, DSLRs, or even laptop. Or may be something bigger. Anything that you, as the giver of gift, think the receiver needs. GPS for one of our monthly celebrations of our wedding. It could have been bought together, but when you receive a gift package with your name at your door, it just makes the purchase more special, doesn’t it!? They’ll never go out of fashion. It’s easiest to gift chocolate boxes or chocolate bouquet to a girl. And if you want to impress your girl or show some extra love, unwrap the Hershey’s kisses gently, remove the Hershey’s tag, instead put a thin slip of paper with a reason why you love her, and carefully wrap it back. Yes, a friend of mine was bowled over by her guy when he gifted her 101 Hershey’s kisses with 101 reasons why he loved her. Jewelry in silver, gold, diamond, etc are assets as you already know – whether you get a small ring, anklet or a pair of earrings, a pendant with the initial or the name, or a whole set: it’s sure to win heart. If you don’t know the preference in color, dressing style & the size of person, then giving clothes & accessories as a gift is a gamble. But the options are so many, that this also feels like the best bet. Think about it – from fancy earrings, neckpieces, bracelets, or fashion jewelry to footwear, bags, wallet, watch, hair dryer, scarf, belt, cosmetics kit … I can go on & on. A t-shirt, jacket & cologne or formal wear & tie for your guy? How about Victoria’s Secret for your girl? Gift hampers including bath items, lotions, creams, sprays and loofah or a manicure-pedicure kit in a nice packaging to pamper your darling is a great idea. So is gifting a spa hamper that includes some massage oils, aromatic candles, and incense sticks. Add in some flowers & a soothing music CD. 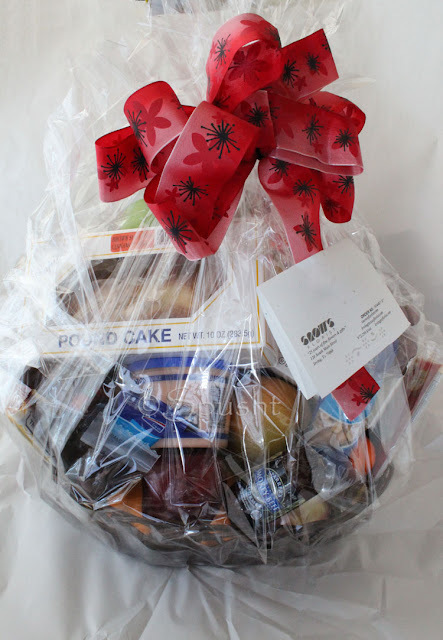 A basket with food items and other goodies also works, especially during festive occasions when visiting people, and also when you’re in a hurry & can’t think of any other gift. When I can’t think of what a person might like or need, or if I don’t know someone well enough, I prefer giving gift cards, gift certificates, gift vouchers, or seldom cash – it’s the easy way out. Although the amount is known, you at least end up letting them buy what they like instead of trashing or recycling your unwanted gift. Perfume, photo album, photo frame, leather stationery accessories (desktop organizer), magazine subscription, clock (desk or wall), book, items needed for travel, stuff for office, etc. I'm the kind who prefers small gifts, in big numbers :D So for my brother's 20th birthday, I gave him 20 common gifts starting from 2 months before his birthday, writing some messages on them along with the countdown, giving him at any random time. What were the 20 items you ask? Some t-shirts in different colors styles & prints, napkin to use after soccer, body spray, pack of briefs, key chain, etc. Food hamper, or easily prepared gourmet dishes, a pack of variety of cheeses, baked goods, fruits, exotic or regional foods, candies, jams, jellies, pack of nuts or candied fruits, set of sauces or condiments, box of premium teas, ice creams & toppings, coffee beans or coffee, or alcohol bottles are some of the options. For a special treat, you may want to bake a special cake or any other dessert. Unlimited showpiece or wall hanging décor options available for the home, kitchen, bathroom, or office. Various kitchen accessories, cooking equipments, cookbooks, dinner/glass/dessert/serving set, or kitchen gadgets & appliances, such as toaster, coffeemaker, blender or the KitchenAid mixer (hint, hint, hubby darlin’!) will be perfect for someone who loves cooking & entertaining. One of my sisters-in-law gifted me food processor on Christmas, and a friend gave me a large serving platter set for anniversary. Boating & feeding the ducks, on a beautiful day with the perfect weather. Go fishing, or just sit on the bench beside the lake. Or take a hamper, spread out the mat, and have a picnic at the lakeside. Watch the sunset together. If you check out any store website under certain categories, you get a good idea of the enormous variety of gift ideas, no matter how small some items seem to be, as long as they’re important to the receiver – even if it has to be a gardening tool. I’m sure you have received some wonderful gifts, some unique ones too, along with several unforgettable memories. Or heard of some great stories or celebration ideas. Share with me!! Love all the ideas :) Thanks for sharing it. Great ideas and congrats on your 1st anniversary! I really wish to thank you for the kind and heartwarming comment you left on my blog! You're welcome about that Rosa, you're a great person! Lovely ideas, makes Special occasions easier to manage..! A very unique post I must say..! Loved it..! congrats on your anniversary. love your blog and those gorgeous clicks.